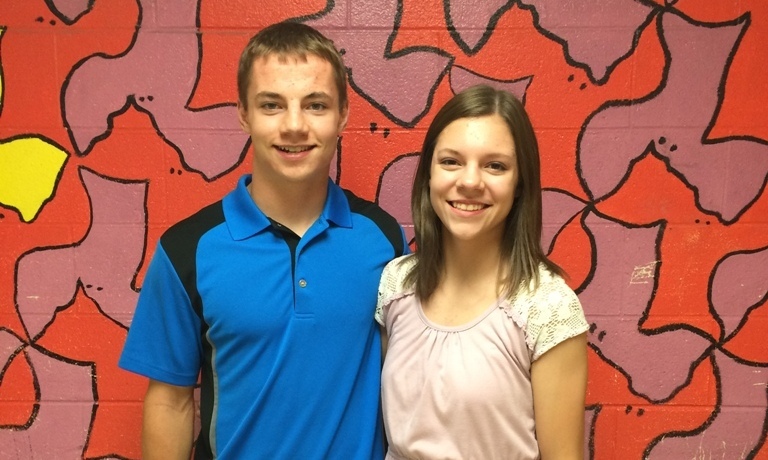 For Kara and Kieran Conley, the homecoming dance might be a little awkward. The odds of being born twins is three in 100, but what are the odds that twins would be voted by their classmates as the male and female representatives for homecoming court? All of last week, students were given the opportunity to vote online for the homecoming court. On Monday, Sept. 29, the students who were voted onto this year’s court were announced at the end of the school day. When the list got to the West sophomore winners, both Kara and Kieran Conley were announced. When the laughs went down, Kara and Kieran received congratulations from their peers. “People were voting for us as a joke, it was between us and another set of twins, but it actually happened,” Kieran said. This Friday, the homecoming parade and football game will take place. Kara and Kieran, along with the rest of the court, will ride in the parade and they will also be announced at the dance on Saturday night. “It is really a day to remember,” Kieran said.